I was talking to a Jawan in the Indian Army posted at a border post in Batalic sector. Mind you, this is one of the posts at the border of Pakistan and India. Violation of ceasefire can take place any day, at any time of the day. Gun fires, grenades can hit you any time, nobody is certain of life at the next moment. And this guy was saying ‘No Tension’!! All of us have seen video clips and heard stories of the conditions faced by our Jawans on the borders. We chuckle and forget as we get busy with our own schedules and worries. But being there, and seeing with your own eyes… it is quite an unnerving feeling. Can you imagine, I mean really really imagine how it would be in places where the maximum temperature in winter is -14 degrees Celsius? And the minimum of -40 degrees? You see, an orange or an apple feels like a cricket ball at -40 degrees, I am told! And what do these forces get in return? General apathy in citizens and abuses from politicians? Lack of understanding in the bureaucracy? But more of that later. A few of us friends had gone on this tour with some purpose in mind. Yes, we did want to see the natural beauty of Jammu-Kashmir and Laddakh. But we also intended to visit our borders with Pakistan and China, to meet the forces, army and para-military jawans who tackle extreme weather conditions and uncertainty to protect our borders with our not-so-neighborly neighbors. We were fortunate to get permissions to visit the borders from Indian Army and Indo Tibet Border Police (ITBP). We flew from Mumbai to Srinagar via Delhi. There was a perceptible tension in the air at the Srinagar airport, with gun-totting army jawans everywhere. We visited Ksheer Bhavani Mandir in the evening. It is a fairly large area. Within which the idol is placed in a mandir constructed in a pond, so to say. It is believed that the color of the water of the pond changes from its usual milky white to black whenever adverse conditions are looming over Kashmir. By the way, there was poor connectivity of the mobile network. Only Airtel and BSNL worked occasionally. That too, post-paid. None of the networks worked for pre-paid customers in Jammu-Kashmir-Laddakh state. After many many years, I was fortunate to be totally incommunicable for 2 weeks! Next day, we started for Kargil by road. On the way, we visited the Shankaracharya Mandir, where Adi Shankaracharya had meditated, as the legend goes. A very well maintained and serene place, with a moderate climb. I wish we had spent more time there to soak in the serenity and calm. We had planned our journey in such a way that we gradually moved from lower altitude to higher. As we moved towards Kargil, we reached Sonmerg, a favorite tourist attraction, on the way. The road is good and we travelled comfortably. The air was getting cooler with glaciers at a distance promising an exciting journey ahead. By afternoon, we reached the war memorial near Dras. Though we know the 1999 war with Pakistan as Kargil war, it actually took place near Dras, which lies in Kargil district. We saw the wall constructed overnight to prevent damage by Pakistan shelling. We could not visit the memorial as it was closed for preparations for‘Vijay Diwas’, the day Kargil war was won. But we did meet the commander and presented a memento we had specially prepared. We stopped for the night in Kargil. Reaching Kargil felt like going to any other town, replete with its usual hustle-bustle. The owner of the hotel where we stopped was talkative. He told us about the life in Kargil, how the locals had helped the army during the Kargil war. There was a hint of resentment that the people of Leh get an upper hand in every walk of life including employment. Everywhere in India, we have the regional imbalance in development and competing groups of people, I guess. Next day, we started early on the way to Zanskar. We were warned that the road was not so good. But we found that after a village called Sankoo, there was hardly any road worth the word. It took us 15 hours to reach Zanskar, which is about 230 km from Kargil. But it was magnificent… Rising hills and glaciers far away. 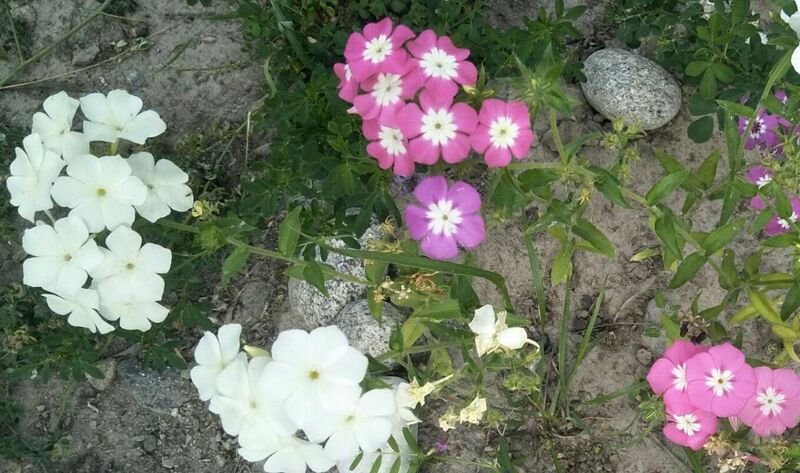 Barren land interspersed with greenery and shrubs here and there… Beautiful flowers pink, red, yellow, indigo and purple suddenly making their appearance… Shiny rocks and streams everywhere. 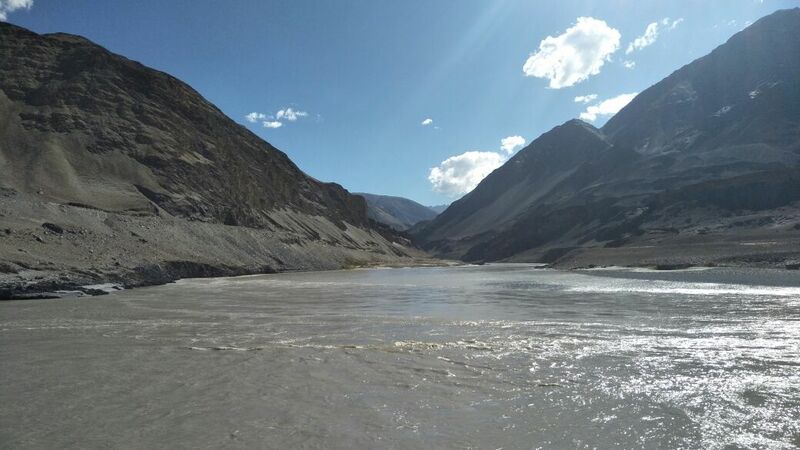 And of course the river Suru and later river Zanskar, sometimes calm and angry sometimes. Plenty of water coming from melting glaciers above.Noticeably, no birds. A few animals like Himalayan marmot. We spent the next day in Zanskar, visiting a Gompa, a Buddhist temple. In fact, we visited many Gompas over the next few days. These are elaborately decorated with the idol of Buddha and other deities like Tara. In some, they have preserved bodies of ancient Gurus in Dhyaana position. Ancient books of Buddhism written on large specially prepared tree leaves are stored in cupboards which are opened only once or twice each year. The Bhikshus chant Mantras in their unique style. The atmosphere feels like somber. Of course, with a few exceptions like the Gompa of Spituk and Lamayaru monasteries. It seems all religions and organized social activities are becoming dogmatic. Hardly any spirit of honest enquiry, which to me should be the main purpose. In my experience, the Lamas, or priests, do not even attempt to answer any doubts you ask. Maybe, language is a hindrance. But Sad. This way, how will we connect to the knowledge that our forefathers had, as some of us believe. And others ridicule? They have small white temple structures called ‘Chothran’ everywhere and bell-shaped ‘Mane’ on which Buddhist Mantras are inscribed. You have to rotate ‘Mane’ and chant the Mantra as the letters make their appearance. We stayed at Karsha Village in a Homestay. The facilities were surprisingly modern. Increasing tourism has encouraged people to build comfortable, even cozy and reasonably priced places to stay. I particularly noticed that the people here are ready to work for building their future, without apparently indulging into sloganeering on regional “Asmita”. Interestingly, and this is an irony, most of the workers working on infrastructure work going on in the region, are contract labor brought from Chhattisgarh or Bihar. The locals do not get their hands dirty, so it seems! The hostess completely floored us when we were about to start our return journey at 3 AM the next morning. She cooked breakfast for us at that hour and later honored us with “khaatak”, which is the traditional way of honoring guests! Back in Kargil, we went to the LOC, on the border with Pakistan, where we met the Jawans, quoted above. It is difficult to put in words how I felt, kind of numb, I guess. Low oxygen levels, low temperature, high rising barren hills all around. But patches of fields where locals grow vegetables and some grains. The villagers are moved to safer places but do work in their fields. The Jawans were jovial but very very alert. When we offered some sweets we had brought with us to them, they ensured that we ate first, before them. Risk management, it came so naturally to them. What training they must be undergoing, physical and psychological! Phenomenal. Tired and humbled, we returned to our hotel in Kargil. The journey from Kargil to Leh was cool. On the way, we visited the ‘Future Buddha’ a Buddhist temple near Kargil and an Aaryan Village. We travelled along the great River Sindhu. The river crosses over to Pakistan and India does not make adequate use of its water, while in India, thanks to a treaty made in yesteryears. The villagers have maintained their Aaryan origins, they say, and steadfastly avoided any mixture. I did not understand the efficacy of this concept, but so it be! The villagers were simple but extremely friendly and inviting. The high altitudes are name of the game. The life could be dangerous, but I felt a strange sense of calm. The next generation stays in hostel and studies in Leh. What will they do in the future? God knows. We were guests in the ITBP camp in Leh. 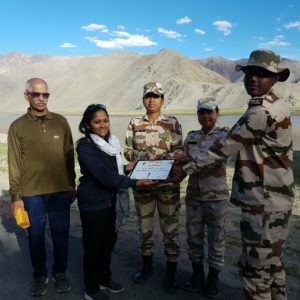 The ITBP facilitated our sojourns near Leh. Nubra valley, Pangong Lake, Hanley and Tsomoriri. The roads are arduous, the journey demanding, but enjoyable and satisfying for sure. I cannot adequately describe and you will surely not be able to understand the cold and windy weather unless you experience it yourself. The earth is rugged and rarely inhabited. We met Indians and foreigners doing the journey on their bikes. They have to carry Diesel cans with them as the pumps are a rarity. The loaded bike looks like a house on wheels. Hats off, to these adventurers! 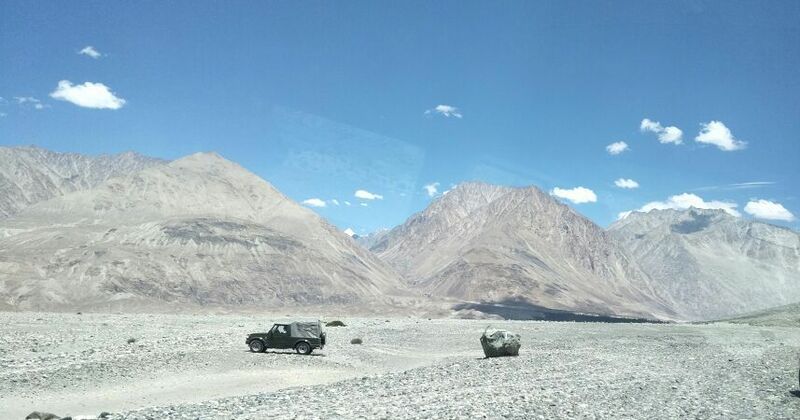 On the way, we reached Khardung La, which is a pass at 18000 feet above the sea level. 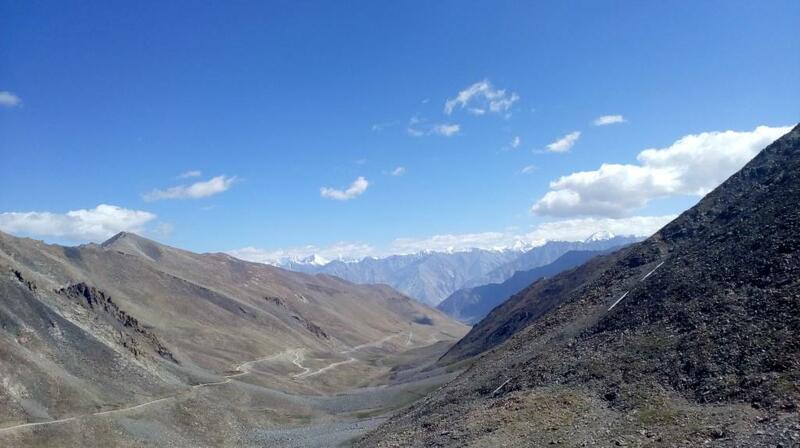 This is said to be the highest motorable road in the world! A huge Buddha idol is constructed near Nubra valley called Maitreya. A very modern structure colorfully painted. It has many symbolic paintings as well. It is also a Gompa and monastery nearby. We also visited the magnificent memorial for Major Shaitan Singh, who with his 120 soldiers fought Chinese soldiers in 1962 war. With bone-chilling cold, poor equipment and weapons he defended his post at 16000 feet in Chushul sector. They took toll of a thousand advancing Chinese soldiers before succumbing. It was their brave resistance that saved Laddakh from Chinese occupation. He received a Param Veer Chakra posthumously for his unprecedented leadership, courage and determination, with five Veer Chakras and four Sena medals awarded to his fellow army men. Over the next 3-4 days, we visited many ITBP posts near the China border and were fortunate to interact with the officers. It was a unique and remarkable experience. ITBP or CRPF or BSF are paramilitary forces which are the first line of defense for our country. They are responsible for regular patrolling and defense of the borders. Army comes in when a war like situation develops. The training undergone by paramilitary forces is as stringent and severe as army personnel. Admittedly, the glamour associated with the paramilitary forces is slightly less than that with the army, in our eyes. Their rank titles are also different. However, these jawans and officers are as capable and brave as their army counterparts. When an ITBF jawan gets posted on the border, it takes a week to acclimatize him. One jawan confessed he could not play a full game of football even after spending 2 years on the border. Only the locals can do that. Such is the paucity of oxygen. A border patrolling assignment can last up to 25 days. The patrolling party has to carry all their equipment, tents, weapons and food on them. Quite often, they have to survive on Maggie noodles for days, as that is the only food they can prepare given the conditions. We met one senior ITBF officer who practiced yoga even in sub-zero conditions! He tries to promote yoga in the ranks as a regular routine. An incident is worth reporting. One winter night an ITBF patrolling party on Chinese border faced an avalanche. Two of the four-member team were seemingly lost over the cliff. But the leading officer refused to leave his team members in the lurch despite pleas from his team. After hours of painstaking effort, they rescued the missing two. That night, it could be the end for all of them. But such is the commitment among brother soldiers. To hear the story from the same officer’s mouth in a matter of fact way was like…well, I do not have words to describe what I felt. And now take this…very next day the officer was due to go on leave for the birth of his first child!! But the army and other forces do more than defending borders. They run schools, organize sports meets, and other events to build bridges between them and the local population. After all, the jawans as individuals are outsiders in these regions. If there is camaraderie among army forces and civilians, obviously it will ease the task to a certain extent. This is true for civilians in other parts of the country as well. Precisely for this reason, you will observe that the separatist leaders vehemently oppose such bonhomie. In keeping with the traditions and practice, these people were strictly apolitical. But their observations and knowledge of the goings-on in the country were apt and precise. The requirement of 2/3 rd majority should be done away with. This gives rise to all horse-trading and corruption. Simple majority should do. And issue based decision making should be the norm. What is good for the country? This is the question our politicians should consider. We expect a lot from this government… Infrastructure development, development of a feeling of oneness in civilians and forces…. Everyone in this country must undergo some period of military service, even if to appreciate what it takes to be in forces. And much more. They won’t say it; one has to read it on those rugged and sometimes unexpressive faces. Nubra valley was great. 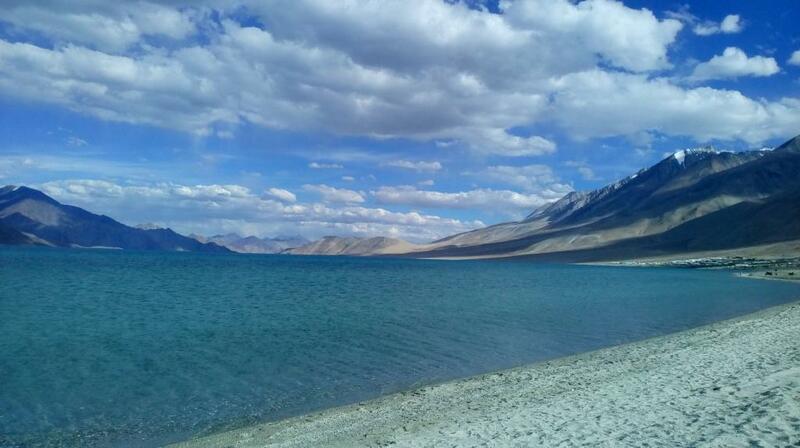 So was Pangong lake. The changing colors of Pangong lake with the varying Sun-light was fascinating. And the experience of staying in Tents in Pangong was unique. That day I experienced the wildest windy conditions in my life. It was in some way, scary! Another important feature we observed was the use of solar power almost everywhere. The terrain is so difficult that the distribution of electrical power is very difficult, even if we manage to generate it. In fact, we went to an observatory in Hanley, which runs on solar power and is operated and controlled from Bengaluru. But by this time we all were exhausted physically and mentally. After 12 days of travelling and experiences of a lifetime, we were ready to retreat. It was obvious that everyone was stretching himself to see the places of interest near Leh. Shanti Stoopa, Hemis monastery and Gurudwara Patthar Sahib and Sangam of rivers Sindhu and Zanskar at Nimu near Leh. The Hall of Fame Museum in Leh is inspiring. Hundreds of years old history of Laddakh is presented here with that of Namgyal dynasty, and also the strongman Jorawar Singh of Jammu-Kashmir conquering vast expanse of Land in 1830s. How did they achieve it in those days… beyond me!! The museum also displays articles and maps of Kargil War, and other features of the region. A very good museum indeed! We returned to Mumbai from Leh via Delhi. 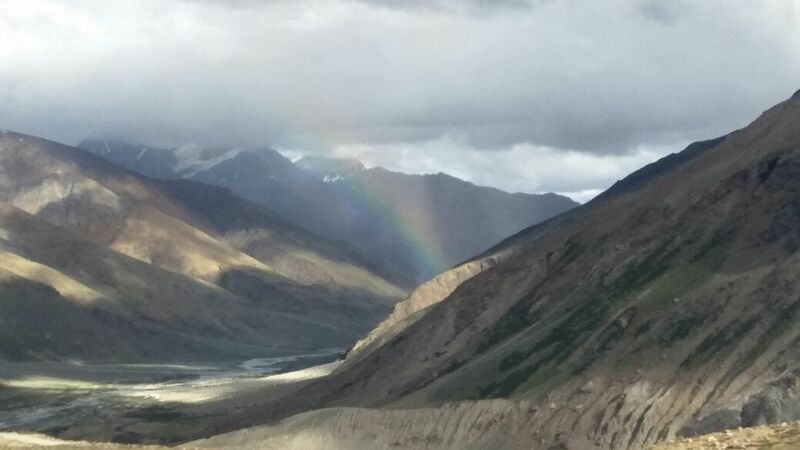 After all, 12 days was a long trip of Leh-Laddakh if one compares with the itinerary of a standard commercial tour. But that is not enough. It was we who were saturated, the region and people had more to offer. It was a great experience and a great trip. Experience of a lifetime, as I said. Alok (M.Tech. 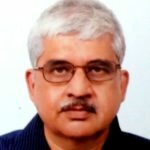 '87 EE H7), an MTech in communication Engineering, has worked as telecom design engineer and later as IT professional for over two decades. Now, away from his professional responsibilities, he pursues his other interests. He is a member of Mumbai Chapter's Rural Initiative Group (RIG).